Previously Melilli has organised exquisite events for his Panta Rhei agency for a decade, styling events for Bill Gates in the Valley of the Temples and gala dinners for the Taormina Film Festival featuring the world’s Seventh Art celebrities. The stylist confessed he could hardly believe his eyes when he got the request to dress two galas for the US President and First Lady. The secrecy imposed by security rules, did not allow Melilli to reveal a lot of his creative ideas: there are two evenings on 26 and 27 of May, one of a Sicilian theme which makes G7 guests feel the warmth of the island, said the stylist, opting for the mise-en-scene highlighting Sicilian folklore, Mediterranean colours, with the typical flowers and scents. The second evening as “full-blown” gala will be overwhelmed by opulence of Mediterranean fresh flowers. 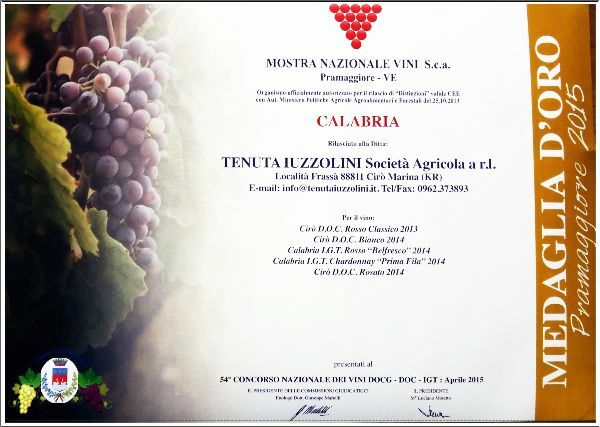 On March 2015, the 54th National Competition of Wines DOCG-DOC-IGT organized by Mostra Nazzionale Vini-Pramaggiore took place in Pramaggiore (Venezia) as it does every year. The wine competition where each comittee is made up to five oenologists who are selected by the Italian Association of Oenologists, awarded this year with five gold medals to Fattoria San francesco’s wines. «Today we can present a fundamental appointment for the Italian system since Vinitaly represents the entirety of Italy’s wine experience all over the world. Verona will provide an occasion to take stock of what has been done by the Government to simplify bureaucracy and promote the internationalisation of companies, as well as to launch new objectives going beyond Expo 2015, including the consolidated law on wine, with a focus on reorganization of the sector». The press conference presenting the 49th Vinitaly (22-25 March 2015) held yesterday in Rome at the Auditorium Via Veneto so heard Agriculture Minister Maurizio Martina re-launch the Government’s commitment to support Italian wine and the validity of the collaboration with Veronafiere to implement economic development policies and promote Made in Italy on international markets. «We are aware of the role acknowledged to us by companies and institutions», – said Ettore Riello, President of Veronafiere, – «as a platform of services for business internationalisation. It is with this commitment that we are working to achieve the goal launched last year by Prime Minister Matteo Renzi during his visit to Vinitaly to increase wine exports by 50% by 2020». 2014 was a difficult year for various international situations but the sentiment of companies is positive – as emerges from a Vinitaly survey involving 30 of Italy’s most important wine realities. This is a “scientifically unrepresentative” but undoubtedly significant panel in terms of business dynamism and overall turnover coming to approximately 2 billion euros. It appears that 2014 saw growth in revenue by Italian wine cellars of 5% compared to 2013 and, importantly, 55% expresses confidence for 2015; 35% in these first two months of the year has already achieved positive feedback and 5% envisage a very positive year. «We have learnt that it is difficult to make forecasts in times such as these and that numbers change quickly, especially in the light of sudden and unpredictable changes in international geo-political frameworks that can have direct effects on the sector, yet there is no doubt,» as Mantovani concluded, that the Italian wine sector is highlighting all its liveliness and capacity for growth». The 49th Vinitaly has been specifically designed to help producers and operators expand currently emerging opportunities and also create new ones. B2b meetings have been organised between buyers, guest delegations and exhibitors within the scope of the International Buyers Lounge. A major convention – requested by tutelage consortia, wine-makers and other realities in the sector – will analyse ITTP talks (Transatlantic Trade and Investment Partnership with the United States). This will be joined by focus meetings discussing Hong Kong, China, USA, Russia, Brazil and Australia. Confidence in the quality of initiatives at Vinitaly is confirmed by figures consolidating attendance by more than 4,000 exhibitors and display area bookings of more than 91,000 square metres – which leap to 100,000 with Sol&Agrifood and Enolitech, respectively the quality agro-food event (with the section dedicated to olive oil organised in collaboration with Unaprol) and the technical show for wine and olive oil production systems scheduled at the same time. Major events during Vinitaly include OperaWine scheduled on 21 March in collaboration with the authoritative American magazine Wine Spectator and, 16-20 March in Verona, the first certification course for specialists in Italian wine. This is an innovative initiative set in motion by VIA-Vinitaly International Academy (the Vinitaly International educational project with the scientific direction of Ian D’Agata), which, after a final exam, will issue two types of certificate: Italian Wine Ambassador (IWA) and Italian Wine Expert (IWE). Fifty highly professional candidates from the sector (managers of several major international hotel chains, journalists, Masters of Wine) will take part from China, United States, Australia, Austria, Brazil, Canada, Korea, France, Germany, Hong Kong, Netherlands, Russia, Singapore, United Kingdom and Ukraine. 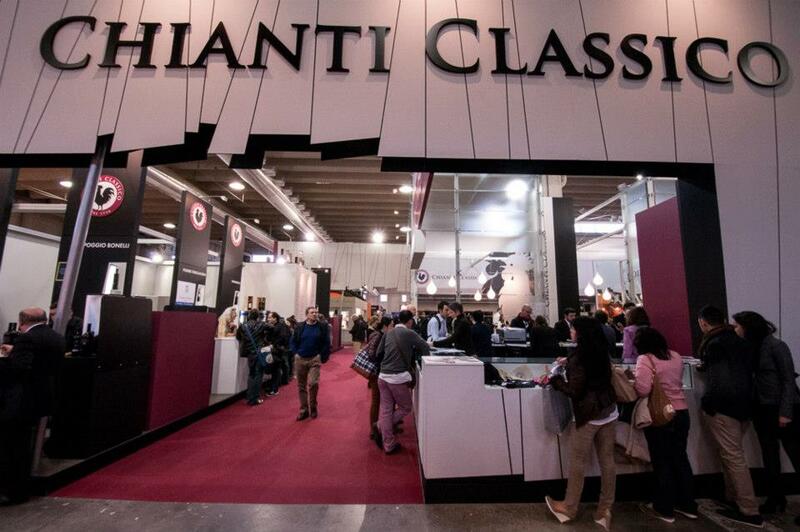 VIA is also organising three Master Classes+ during Vinitaly, not only involving Italian wines. Collaboration with Ismea includes a convention on craft wines, another great wealth in Italian wine-making. Vinitaly will also host the official presentation of Vino – A taste of Italy – the Wine Pavilion set up inside the Italy Pavilion at the Universal Exposition in Milan, organized by Veronafiere-Vinitaly on the invitation of the Ministry of Agriculture, Padiglione Italia and Expo 2015 SpA. «I am indeed extremely grateful for the work carried out by Veronafiere.» – said Minister Martina at the end of the Press Conference, – «as well as its efforts as the country prepares for Expo 2015». We are in the venetian foothills with its hills and plains near the rivers, fertile land and exclusive where the diversity of the earth and the wind is capable of giving valuable gifts and very different, such as Prosecco and Raboso. 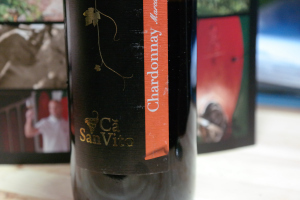 This Chardonnay comes from the flood plains of the Piave river in the province of Treviso.Composed of 100% Chardonnay, this wine shows a straw yellow color with green reflections. The nose gives off an unexpected scent of roasted almonds, licorice and has a floral bouquet. In the mouth it mixes well to the palate is balanced and full-bodied. This wine with real potential, goes well with white meats, fish, fresh cheeses and generally with the classic Mediterranean dishes like pasta with tomato sauce and fresh basil or garlic bread. The foot hills oft the Veneto is a region where the” being Venetian”is not just a question of territory, it is a way to do, to be passionate about the work quality-consciousness, pointing to the excellence of its wines.It is in this context that the men of the cantina Cà San Vito really use all their knowledge to give perfumes and flavors for a really DOC taste.